The largest surviving gold work of art from Sub-Saharan Africa is to be highlighted in an exhibition at London’s Wallace Collection this month. Until now, the mysterious Asante trophy head from Ghana has been displayed in what may seem an unexpected location, the museum’s Oriental Armoury, where it attracts relatively little attention. 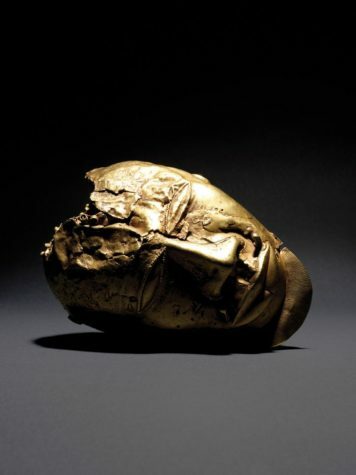 The golden head—nearly life-size and weighing three pounds—was seized by British troops during the Anglo-Asante (or Ashanti) war in 1874 and eventually became the subject of restitution claims. It is in a similar category to the Maqdala treasures and Benin bronzes in UK collections, which are claimed by the governments of Ethiopia and Nigeria.